A few weeks ago I reseated a landscape rock that had been displaced over the winter and was laying on a portion of one of the sixteen hosta situated alongside our driveway. About a third of the little sprouts looked crushed. The other day I noticed that all parts of that plant, including the previously stunted ones, were robust and flourishing. I put in the flowers on April 10, 2002 – the afternoon of my second to last day of jury duty. The trial was for attempted murder. The plants are “dwarf” varieties, purchased from an online nursery and had arrived at our house earlier in the afternoon while Mars was at work and I was still at the courthouse. Closing arguments were completed the previous afternoon, so the agenda for the twelve-plus-two of us that day was to receive the judge’s instructions and begin deliberations. The evidence had been presented over five days and consisted of an increasingly incriminating crescendo of forensic data – DNA, blood, fingerprints, bullet-gun matching – plus eyewitness accounts by the injured party and a pawnbroker to whom the accused attempted to hock the victim’s laptop computer. Part one took about an hour. The defendant J.C., a man in his early twenties, was charged with 15 offenses ranging downwards in severity from the shooting, to theft of the weapon. “Judge Carmen”, as we came to call her, explained each accusation and told us that the allegations were not intertwined – that is we could find him guilty (or not) for all or some of them. We began with a secret ballot on the most serious. The results were 12 votes for guilty. Then we worked our way on-by-one through the remaining charges with the same result every time. Somewhere in there I think we had lunch but I really don’t remember when or what. The foreman was a cigarette smoker, so after the voting we all adjourned to the secured outdoor smoking area so that he could light up and we all could take a deep breath. While we were out there the group decided to go home and “sleep on our decisions” – then reconvene the next morning to see if anyone had a change of heart. We all were, I am certain, acutely aware that we were effectively ending J.C.’s life in “civilized society”. We also all agreed, without hesitation, that he had committed every one of the 15 offenses – and we each needed time for that certainty to permanently implant itself into our emotional psyches. 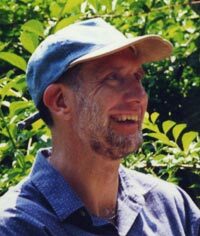 For at least twenty years gardening had become a way for me to focus my conscious mind on something meaningful and pleasurable, while letting whatever work or personal issues were troubling me sort themselves out in the quieter background recesses of my understanding. So I was happy and relieved to discover that the box of hosta had been delivered, and that the time and weather was perfect for putting them into the earth. I rushed to create my favorite planting mixture of sphagnum peat moss, topsoil, and homemade compost and to blend it with the soil of the sixteen holes I eagerly created to receive these new horticultural habitants. That part of the job had been done so many times before that I apparently was flying on autopilot – not needing any input from my brain – allowing me to endlessly replay the thought processes of my earlier decisions. When it came time to place the hosta into the earth however my lack of experience with and mental absentmindedness from the work at hand resulted in the inverted insertion of some of the fledgling flowers. A fact that Mars quickly called to my attention when she arrived home and I was proudly showing her my afternoon’s achievements. Fortunately with the newly softened soil readjusting the newbies to their proper attitude was easily accomplished. And by this time I had psychologically reconciled myself to the guilty verdicts. On the next morning the jury reconvened and we all validated to each other the accuracy of the day before’s decisions. After announcing our findings in the open court we were ushered back to the jury room where Judge Carmen thanked us for our good work and told us that in a separate case J.C. had already been convicted of murder for an incident that occurred the night before the one we were adjudicating. “He’s a really bad guy,” she told us. And someone who now will never see the outside world again – he received 71 years with no chance for parole plus life in the other case. I have no idea what kind of upbringing brought J.C. to that point in his life – his Public Defender never sought to mitigate his guilt with that kind of background information, and no one who knew him (family or friend) ever appeared at the trial. But I suspect he may not have been raised in the best situation for growing. That however was not the issue we were asked to decide. 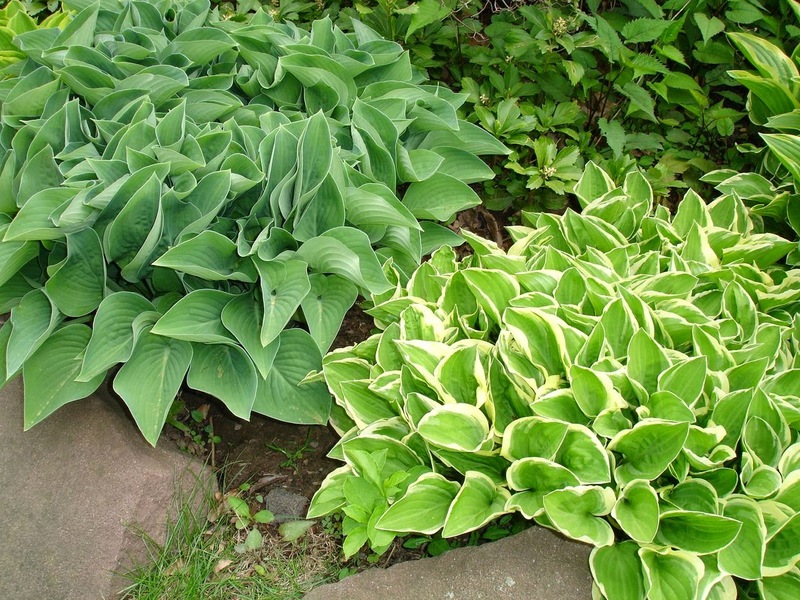 The hosta meanwhile grow bigger and thicker every year – long ago filling in the deliberately significant gaps between them, and crowding into each other in some spots. Other than the occasional rock realignment they’ve really required no special attention since they were first set into their germinating environment and had their roots reoriented to partake of that naturally nurturing nourishment. If only everything were that simple.